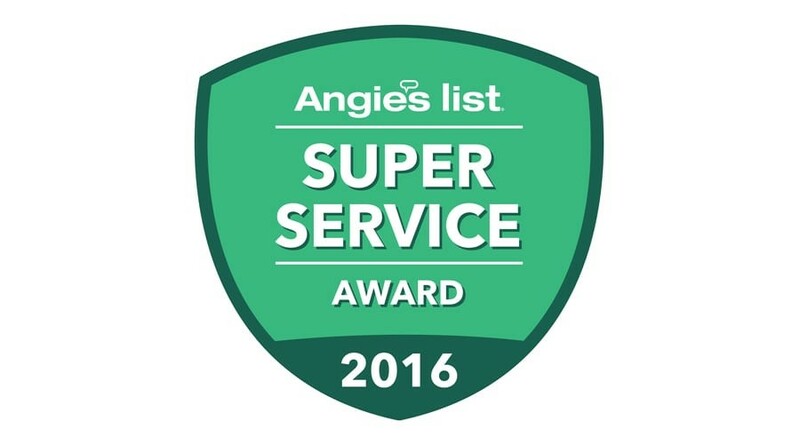 With over 6 decades of experience in the Waterproofing Industry in PA & NJ. 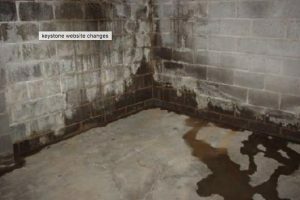 Keystone Waterproofing & Restoration services provides the expertise at getting and keeping your basement & crawlspace dry. 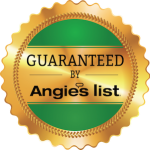 With our affordable pricing and numerous 5 Star Ratings with Angie’s List, you can count on us providing professional top notch reliable service. The majority of basement flooding problems are caused by hydrostatic pressure building up & coming into the floor/ wall cove joint. This can be rectified by installing a basement or crawlspace drainage system to remove the ground water away from the foundation and keep your basement or crawlspace dry. 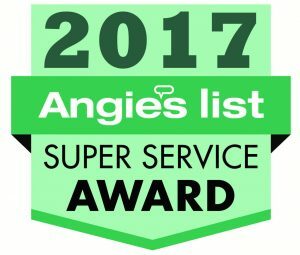 Keystone Waterproofing & Restoration Services is the tri-state area’s premier basement waterproofing companies and we don’t just do basements! Foundations, Crawl Spaces, and Basement Walls can be repaired and waterproofed. We also provide Mold Remediation and Mold Removal services. Drain systems are a cost-effective way of keeping your basement dry. The methodology is to divert the water down to the drainage system that has perforated piping that can then be channeled to mechanical pumps that will remove the water. While French Drainage Systems are an effective way of diverting the water from flooding your basement floors. Drainage Systems have been around for hundreds of years and are considered on of the most effective as well cost-effective ways of keeping your home’s basement dry and clean. These methods are called Interior Waterproofing and the methods are widely used throughout the industry. For centuries, humans have set stone on top of stone to build structures. Ancient European cathedrals, the pyramids of Egypt and the Inca, Mayan and Aztec ruins of the Americas are testimony to that. When Europeans arrived on the shores of North America and began to build permanent homes and public buildings, the plentiful stone of the Northeast enabled them to build stable bases for the structures – rubble foundations at first, followed by longer-lasting stone foundations held together with mortar. Until concrete became the preferred building material, homes in the United States were built on masonry foundations constructed of stone or brick. In some parts of the country, including the Midwest, a webbed terra cotta block, known as “telephone tile” was sometimes used. Later, concrete blocks, formally known as “concrete masonry units” (CMU) but often called “cinder block,” became the masonry material of choice for both foundations and aboveground construction. CMUs are still used for foundations today, especially in areas that are too far from a concrete plant to make delivery of wet concrete practical or cost-effective. Concrete block makes for a very stable and strong foundation, as capable as poured concrete of supporting and stabilizing a home of any size. Like any masonry work, it requires the attention of a skilled mason to be built properly and often needs to have corners and other vulnerable areas reinforced with rebar and poured concrete. All masonry foundations are prone to some problems, both structural and non-structural that are contributed to by their non- monolithic structure and numerous mortar joints. All foundations can seep water through the cove joint or through cracks in the basement floor, with water being forced into these openings by hydrostatic pressure. Similarly, any foundation can experience seepage over the top of the foundation wall when grading problems or improperly sloped exterior improvements – sidewalks, patios or decks – cause water to run back toward the house instead of flowing away. Window wells with clogged or missing drains or separated liners will also cause seepage in any basement regardless of construction. There are two factors that contribute to seepage in a masonry wall beyond the ones that can impact any basement in any type of foundation. Porous masonry materials – The materials used in masonry can contribute to seepage if they are porous enough to allow water to seep through, even if it takes a very long time. Typically, stone used in foundation masonry is not porous and generally won’t admit water. The relatively uncommon telephone tile (or any ceramic masonry unit) will be less porous if it is glazed; unglazed terra cotta is slightly more porous. Very old brick foundations that may have been constructed of unfired clay brick will be relatively porous, especially when compared to the more modern fired clay brick that is good at keeping water at bay. The real culprit in masonry foundation porosity, however, is the modern CMU or concrete block. Concrete is, in general terms, a mixture of Portland cement and aggregate and depending on whether a coarse or fine aggregate is used and the amount of cement in the mixture, the concrete block will be more or less porous. Adding to the problem is the design of the block itself, having two large cavities inside the concrete web. The air space created by these cavities does provide a degree of insulation and the openings make the block lighter but do not compromise its structural strength. These cavities can fill slowly with water if it seeps through the outer wall of the block and that can create seepage through the inner wall into the basement that can occur in the absence of rain or snow. Mortar joints – The other weak point for seepage in a masonry wall, which can occur in masonry of any construction, are the joints where mortar holds the masonry units together. Mortar is usually a mixture of Portland cement and sand, although a lime and sand mixture is commonly found in older buildings and is still sometimes used today. The mason applies mortar around all adjoining surfaces of masonry units during construction and the mortar hardens to hold the masonry together. The finished masonry wall is strong and durable once the mortar sets but the mortar joints are the wall’s Achilles heel and can become a source of seepage into the basement when they are damaged. Although modern mortar mixes form a hard, durable material, it is still possible for mortar to deteriorate over time, especially if the mix was improperly prepared. More likely, though, is the possibility of the mortar joints cracking and admitting water. Foundation walls of any construction are under constant pressure and are subject to movement, sometimes in tiny increments, other times significantly. For example, when soil surrounding the foundation becomes oversaturated due to heavy rains, snowmelt or improper yard drainage, the soil absorbs the water and expands. This expanding soil pushes against the foundation wall and, in the case of a masonry wall, can cause masonry units to move inward. This inward movement stresses the mortar joints and can cause them to crack. During times of drought, trees and large plants that are located close to the foundation will extend their root systems down deeper than normal in search of water. When these roots reach into the soil below the foundation and draw out the moisture from the soil, the soil becomes desiccated, meaning that the space between soil particles formerly occupied by water is now vacant and the soil quickly compacts to fill these voids. The foundation it once supported will then drop to settle on the newly compacted soil, causing significant cracking in mortar joints.